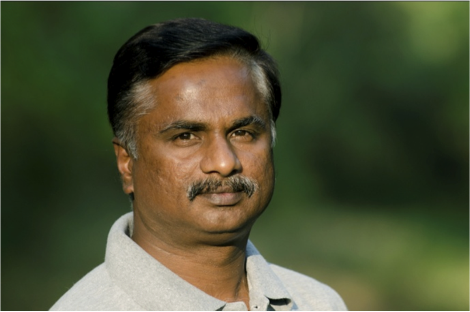 Promoting coexistence of humans and elephants in Anamalai Hills (literally “The Elephant Hills”), situated in the Western Ghats of southern India, has been the key objective of M. Ananda Kumar for over a decade. A wildlife biologist with the Nature Conservation Foundation, Kumar is a staunch believer in the benefits that involving local communities in conservation work can reap. Kumar’s work on human–elephant conflict resolution in the Ghats has been recognized with the Carl Zeiss Wildlife Conservation Award. In an interview with Richa Malhotra, Kumar speaks of the change that has been brought about in the attitude of people towards elephants—from hostile to tolerant. What threatens elephant survival in India? Activities such as setting up of micro hydel projects, dams, power lines or roads in prime elephant habitats pushes these animals out of their habitat into neighbouring towns and villages. That leads to negative interactions between people and elephants, and is detrimental to the elephant population in the country. Can you talk about the ways to mitigate human–elephant conflicts? Conflict mitigation has been going on for ages. But most conflict mitigation measures are planned from a human perspective. Take for example, electric fences or elephant-proof trenches. People look at whether a measure is feasible, typically either cost- or terrain-wise. They expect elephants to respond positively to the system—that the elephants should go back if they come across an electric fence! Putting up an electric fence does not require any research as such. We need to look at how much area should be enclosed within the fence; whether it obstructs elephants’ movement or divides their population into two sub-populations; and whether having electric fences is driving them towards other areas where people live. It is not a strict idea that conflict mitigation measures mean elephant-proof trenches or fences. For mitigation, we need to understand the ground situation well with sound scientific research and share that research with the locals through appropriate participatory approaches. Only then will conflict mitigation make sense. Speaking of scientific research, has enough gone into studying human–elephant interactions and the way elephants respond to mitigation measures? Do we need to put in more resources? 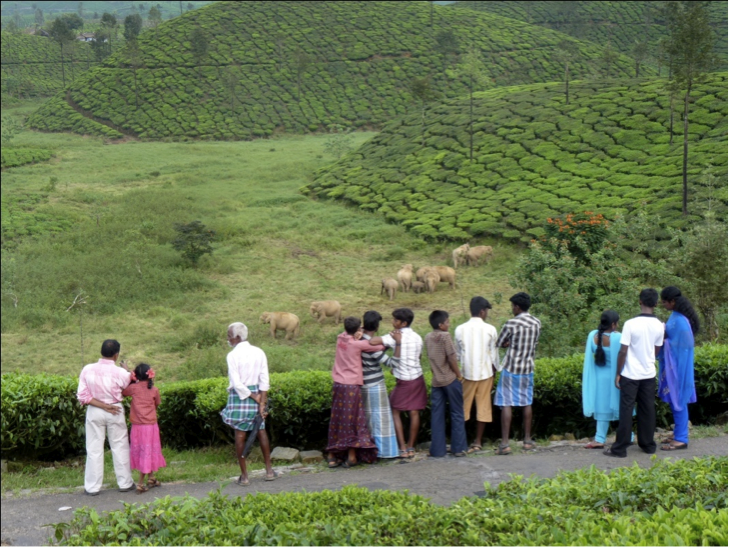 In India, the majority of research on human–elephant conflict is based on ecological studies. A huge amount of money has gone into this. But what is missing here is taking the results of those studies to the people and environment. We tend to give suggestions in scientific reports but we do not know how the suggestions work on the ground. The scientific community, conservationists and practitioners must go one step ahead. How effective are elephant corridors in connecting fragmented habitats? In most places they are very effective. What we need to know is how important a corridor is from the elephant’s perspective. A forest or non-forest corridor may look beautiful to us, but for elephants to use it, it may not be such. Corridors are not just physical connectivities; they have to make biological sense to elephants. For the 88 elephant corridors that have been identified in the country, we need to evaluate what percentage provides benefits to elephant populations. Even though these corridors are being used by elephants, what is their percentage use? We can then talk to local people to provide more space for elephants and see if people are willing to move out of corridors. When exactly did you start working on human–elephant conflicts in the Western Ghats and what positive changes have you observed since? I started in 2002. In the small area that we have been working in, in the Anamalai Hills, we have seen a dramatic shift in people’s perspectives; they feel safer. We have not studied it yet but according to feedback, people decided to stay because they get early intimation of the location of elephants via SMS and are prepared for a situation. Otherwise, they would have left the place long ago. How do the elephant alerts you just mentioned work? We have a team that tracks elephants every day and takes the GPS location of herds; we also get information from the forest department and local people. Based on the GPS locations we identify vulnerable areas lying within a 2 km radius of the elephants’ location. We are sending out this information in three ways. First, the information is scrolled on a local television channel. Second, we send out SMSes to people who are willing to receive them on their mobile. Third, we have installed early-warning indicator lights. Apart from these, there is a rapid response team at the forest department and a helpline so that people can seek help at any point of time. The department has also tried out different measures. Collectively, these are resulting in a decline in the number of damages to property and lives lost. Can you tell us more about the early-warning indicator lights? Most people who lost their lives were walking alone at odd hours when there is less human activity. That is when elephants usually move from one forest patch to another. We want people to notice if the light installed is blinking; it means elephants are somewhere close by – within a kilometre from the light – and they can call for help or to find out their exact location, and then avoid walking alone. The lights are not for illumination; they are just indicators. We want people to notice these and beware. The lights can be operated with a mobile phone. Local people operate these rather than us because we wanted them to share responsibility and feel proud of being part of a system that is benefitting hundreds; they are also the first to see elephants in their respective localities. Three people can operate each light. Locals know who are operating and can intimate them. A missed call by the registered operators to SIM cards installed with the lights can turn them on or off. A lot of your work is done on the ground with local communities and the government. How has their response been? Before we started working on Asian elephants in the Hills, we had another programme on rainforest restoration. So we have been living here for the past 20 years and the locals have seen how genuinely we are concerned for them. They tell us that they know we are working towards their betterment and that of the elephants. However, the solutions are not unidirectional; they come from the people, too. For instance, the idea of using the local cable TV network for broadcasting elephant alerts was suggested by the manager of a tea estate. In the beginning nobody believed that the systems would work, including the funding agencies. 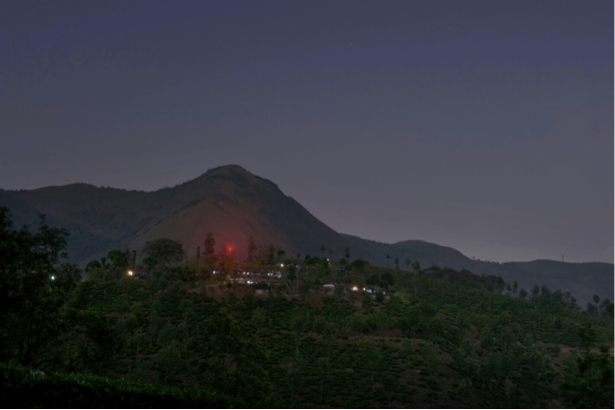 When we took the idea of using lights to the forest department – since the approach falls out of the conventional thinking on conflict mitigation – it was not accepted easily to begin with. Later, when we experimented with the lights, they joined in and were willing to cover more areas. We worked by experimenting and showing the benefits to people and the government. We needed to take them along with us in conservation. On a different note, what are your views on the dilution of environmental laws and the focus on development at the cost of environment in our country? In India less than 5% of the land is protected area. People live on 95% of the land and if 95% of the land cannot solve human problems, using the remaining 5% of forest area is not going to. Development need not be about expansion but increasing the efficiency of what exists. Millions of people depend on forests and we need to safeguard what remains. What is your take on the famous Madhav Gadgil versus K. Kasturirangan committee reports on Western Ghats? The intentions are good on both sides. They must have looked at the feasibility, logistics and wildlife interests before taking a decision. Undoubtedly, there are areas that need to be kept away from any kind of development. At the same time, we need to look at the importance of forests for people. But giving priorities to people does not mean that we eradicate wildlife. Science is a small part of the whole conservation field. We tend to see from a scientist’s perspective but we should also look at other dimensions and use a people’s participatory approach in addressing critical conservation issues. We need to take science to the people and share information with them. It is not enough to do science and expect people to listen to you.